When you are networking, business cards are an essential part of your ‘toolkit’ to have with you at all times. You never know when you may meet someone who could provide you with a useful lead or source of information, so make sure you always have your business card to hand. This means you can be sure that they will leave with your details in their pocket. You are looking for work in a related area. Your current job or company will give you added credibility with your new contacts. It will not compromise your situation with your current employer. 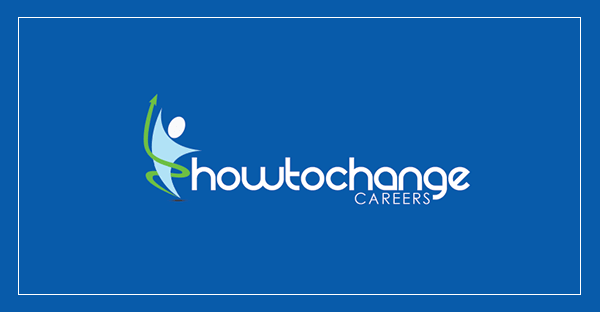 However, if you are planning a significant change of career direction, your current business card may not be appropriate, so you need to develop one specifically for your career change and job search. How will networking business cards help? In a way, your networking business cards act like mini cvs to remind your contact of who you are, what you have to offer and how they can get in touch. The point of networking business cards is to highlight your new career objective and to summarise the special skills, qualities and experience that you have to offer. What kind of message do you want to put across? Are you presenting yourself as dynamic and entrepreneurial? Artistic and creative? Reliable and results orientated? Caring and approachable? All of these can be implied in the design you choose for your card. Take a look at some of the low cost printing companies on internet eg VistaPrint or Goodprint. They have many designs to choose between. The colour, font, layout and any logos or images you use, all add to the impression your card gives. When selecting your design, make sure there is some clear space on the card so that the person receiving the card can make a few notes on it to remind them of who you are and any help they have agreed to offer you. Beware of using dark background colours as this will make notes difficult. Don’t scrimp too much on cost if it means your card looks cheap. Your name. Add professional qualifications (eg BSc, MCIM, DipPsych) if relevant to the work you are seeking. Telephone numbers – both landline and mobile. Remember you have given these out so treat both lines as business lines from now on and answer then appropriately. Fax number if you have one. Email address. Make sure your address sounds professional. attilla_the_hun@hotmail.com will not do! Website. You don’t have a website? Think about setting one up specifically for your new career and job search. It can be a great way of promoting yourself fully. Treat it as an online CV. Add your USP. What makes you special? Include some details about your achievements, positive skills and qualities you can offer. As mentioned above, some of the online printing companies like Vista print and Goodprint offer really good deals. Or you could try a local print shop. You can even print business cards off on your own computer if you have the right software and some card to print on. But be careful that your card does not end up looking too amateurish. Now you have got your new networking business cards, buy a business card holder so you can carry a supply on you always. Keep your eye open for opportunities to use your card whenever you meet someone who you can help or who you think may be able to help you. Remember networking is a two way exchange, so don’t just be on the look out for leads for your own interests – look for ways you can help others too. It is surprising how little favours get paid back in unexpected ways! Don’t necessarily ask for a business card as soon as you meet someone. Wait till you have had a meaningful conversation and you can see that there could be some benefit for one or both of you for keeping in touch. If you can think of a way you can offer to help them, you have a reason to ask for their card. Look at the card and comment positively on it when you receive it. It shows a genuine interest. Jot down a few notes and action points on the back. You might like to check that they are OK with you writing on their card. This may seem obvious, but make sure you don’t lose the cards! Set up a filing system at home so you can keep them in a way that will be easy for you to find contacts again. You might consider setting up a spreadsheet with names, date you met, where you met and a description of how you helped them or how they might be able to help you. You can then search and sort this list to find people again later on. It is also essential that if you have asked for their card so you can pass on some useful information to them, you get on with this promptly. Not only is this simple courtesy, but it will help fix you in their minds in a positive way. So what are you waiting for? Get your networking business cards designed and printed right away. That key contact could be just around the corner!